Day 1: Depart from Senggigi (Central Office) to get the briefing about the program. And the tours proceed to Labuan Lombok after arriving in Labuan Lombok the tour continuous by Boat. We sailed to Gili Bola. Our activities in Gili Bola are seeing bats and sunset and spend the night there. Day 2: On the morning from Gili Bola we depart to Moyo Island. After arrived in Moyo Island you can snorkle there to see the beauty of Moyo's Coral Reefs and fish’s there.After snorkeling for one hour we will proceed to trekking as far as 300 meters to the Inside of Moyo Island to visit the waterfall. After finished visitting the waterfall, we proceed to Satonda Island. Our activities in Satonda Island are snorkel to enjoy the beauty beneath the ocean there and also to see the salt water lake in the centre of the Island. After finished visiting Satonda we continued to Gili Laba and the Boat will sail in the night. 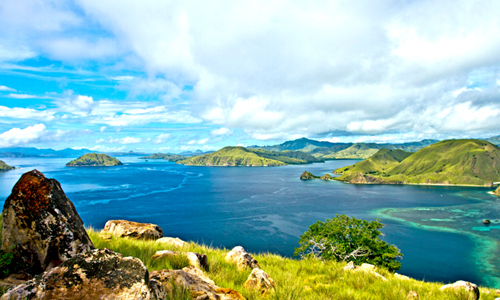 Day 3: After arriving in Gili Laba on the morning your activities in this Island is Trekking to the top of the Island to enjoy the glorious panorama of Flores landscape. After that the tour continuous to the Pink Beach, this beach is the best place to snorkel. The coral reefs, fishes and the beach itself are really beautiful. This beach is called Pink Beach because of the sand of this Beach is Pink. The Pink sands derived from abrasion of coral reefs across the beach which look pinky. After finished snorkeling the tours proceed to Kalong Island and spend the night there. After the sun sets you can see a lot of bats, searching for food. Day 4: On the morning the boat will sail back to Rinca Island (Loh Buaya). 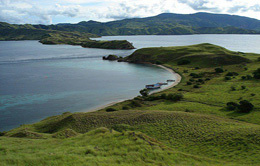 Our activities in Loh Buaya are Trekking to see Komodo. 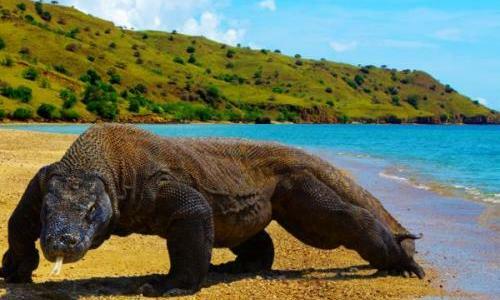 In this Island, the komodo would be easier to look because the range of the habitat is smaller than in Komodo Island (Loh Liang), komodo in Loh Buaya is also more aggressive. 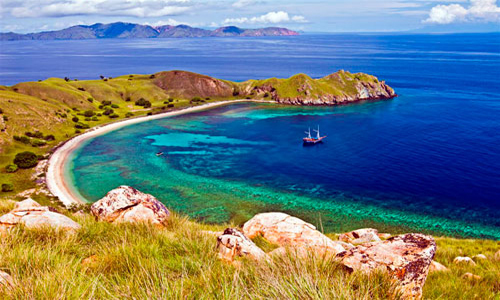 Besides komodo, in this Island we can also look at cattle, buffalo, monkeys, partridge, etc. 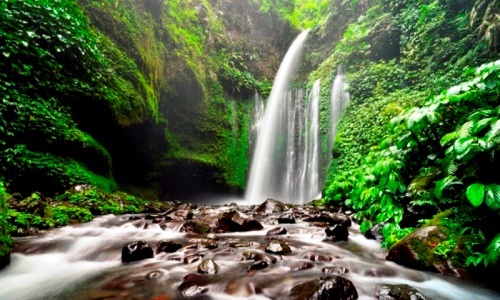 After finished Trekking on Loh Buaya, the tours proceed to Kelor Island. We can swim and snorkel there. From Kelor we proceed to Labuan Bajo which is the end of our tour.